Amala speaks to TNM about working in 'High Priestess' with a young team, how she picks her roles and more. 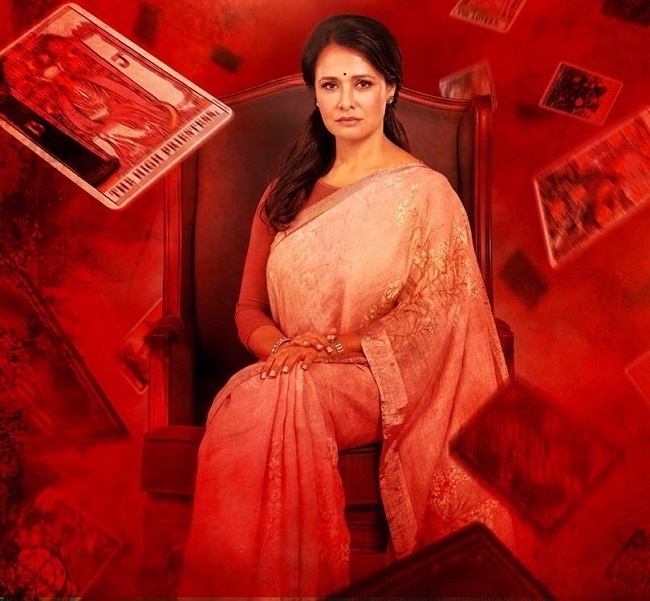 Actor, academician and animal rights activist Amala Akkineni is awaiting the release of her digital debut High Priestess on the Zee5 platform on April 25. In High Priestess, a supernatural thriller spanning eight episodes, Amala plays a psychic with extrasensory capabilities. The series directed by Pushpa Ignatius has been instrumental in rekindling the learner in Amala, a role reversal considering her active role as an academician in the film school AISFM (of which she's a director) in recent years. “It's been an exciting assignment and exploring a new medium always awakens the child in you. Besides being a performer, I have been an explorer and adventurer by nature all my life,” she says with child-like excitement in her voice. Having been an active consumer of the web series format in recent years, Amala feels the digital medium presents the best of film and television worlds and breaks free from many barriers and conventions in terms of freedom and scope. “The entertainment industry in the south has just begun exploring it. You need to see how it works with audiences and how far will it go as a sustainable art form,” she says. Despite having her hands full as a keen animal rights activist with roles across Annapurna Productions and AISFM, Amala had an additional motivation to take up High Priestess. “This opportunity gave me an insight into an industry where students from my film school are probably going to make careers in. Working in a web series has given me a first-hand understanding of the business, the network of the medium. This will definitely be the space where aspirant filmmakers could get professional experience before they try their hand at movies. My inputs should hopefully benefit my students. Even as I say this, I don't think one can ever take the actor out of me. The actor in me is always greedy for opportunities,” Amala smiles. Amala was genuinely surprised to get a character who not only headlines the series but is also powerful and rich in terms of layers, not a usual occurrence for an actor of her age. Amala insists she isn't the central figure in the series and that it will explore a whole gamut of other characters too. “Even as a viewer, I enjoy watching content with varied characters rather than those that revolve around one central figure. It's an exciting prospect to watch an intriguing subject across eight (independent) episodes with a variety of characters who are moving in the same direction. I would, however, say I have a multi-dimensional role,” she reveals. Sharing screen space with an ensemble cast comprising actors Krishna, Varalaxmi Sarathkumar, Brahmaji, Sunaina in key roles was a welcoming experience for Amala. “I spent a day or two with most of these actors. It's nice to work with the younger generation of artistes with whom I haven't worked before. It was good to know how cued in, comfortable and successful they are as professionals. The industry has come a long way and it's reassuring to see young and talented women taking an active part in the filmmaking process,” she notes. The actor found that the making of the web series was on par with a feature film. “It was clearly the content, the script and the dialogues that stood out. We could have never imagined a subject like this in films. Every now and then, Pushpa and I used to look at each other and be amazed that we could actually say such lines. If this medium works in the longer run, it's going to be a very exciting phase for the audiences,” Amala feels. Next in her lineup is another digital series, Kabir Khan's The Forgotten Army where she will be seen in a brief yet significant role. Amala still maintains that she is a reluctant actor, who only accepts roles that are worthy of her time. Back home, her spouse, actor-producer Nagarjuna is pleased and also slightly anxious about her digital innings. “Every time a person in the house is having a release, we want it to do well. Nag knows that this is a very different arena (web series) and that people are more empowered to come in. I reassure him that High Priestess is an honest effort and you have nothing to worry about. I think it's his protective side that wants me to do well (laughs). Everybody at home is happy and they know what my purpose in the project is,” Amala says. And when we remind her that she is the first among the Akkinenis to take the web-series route, she laughs it off, "Haha. I'd never looked at it that way!"